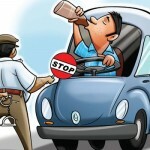 Drunk driving is a serious offense for people of all age groups. It is unsafe not just for others, but also the driver, who subjects himself to a dangerous situation where any untoward incident can take place. Teens and young adults, in their age-induced excitement, behind the wheels are also amongst the ones who are responsible for drunk driving. It has been reported by a new study conducted by researchers with the U.S. Substance Abuse and Mental Health Services Administration (SAMHSA) that between 2002 and 2014, there has been a 59 percent drop in drunk driving among people aged 16 to 20 years, while for those aged from 21 to 25 years it was 38 percent. According to the study, for the same age groups, there has also been a considerable drop in alcohol and marijuana affected impaired driving. The bright side is that self-reported behaviour of teens and young adults is the basis of these numbers. Many factors can be responsible for these positive signs of improvement related to drunk driving amongst teens and young adults. Reduced binge drinking among high school students, underage drinking laws being understood and enforced better, and young drivers getting graduated licensing laws are a few of the factors that can be linked to this drop. However, impaired driving caused by marijuana consumption hasn’t shown much decline. While significant public awareness regarding drinking and driving has been created through campaigns, concerns about prevalent use of drugs and drugged driving are still existent. The risks after driving under marijuana influence are not yet realised by teens and young adults. With the help of this researched information and continued efforts by states and organizations, young drivers can be educated and discouraged from driving after consuming alcohol and/or cannabis.